It was my first experience of a full-on capsule hotel so it was all new to me. The decor is like something from a 1970s sci-fi movie. 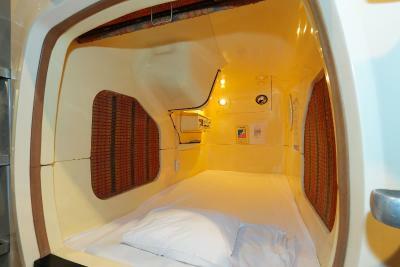 The capsule was well ventilated, and the futon was comfortable. Pyjamas and towels were provided. 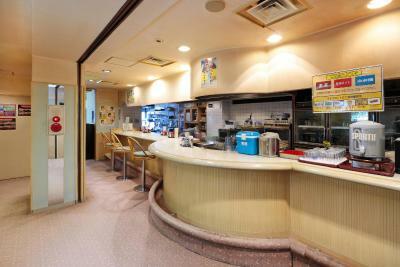 The location is quite good, also the fact there is an onsen in the premises. 체크인 전 사전 캐리어를 보관해 준 점과 직원들의 친절함이 다른 미흡한점을 보완시켜 준 것 같다. 천연 라돈온천과 면도기, 칫솔이 구비되어 있었다. 비지니스호텔의 작고 좁은 방 보다 차라리 사우나 휴게실 식당 등 호텔 내 공용시설을 이용할 수 있어서 좋았음. 캡슐 같은 좁은 공간에 대한 공포증만 없다면 싱글 침대 만큼의 프라이버시 공간이 오히려 아늑하게 느껴질 수 있음. 대부분 역부근에 있어 찾기 쉽고 1박 3500엔 내외로 가성비가 뛰어남. 이 호텔은 그 가격에 토스트 커피 샐러드 삶은계란으로 구성된 조식까지 무료 제공!! 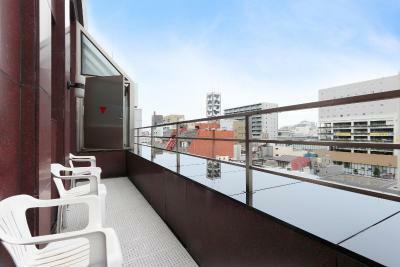 Kawaramachi Gion Onsen Golden Time Takamatsu (Male Only) This rating is a reflection of how the property compares to the industry standard when it comes to price, facilities and services available. It's based on a self-evaluation by the property. Use this rating to help choose your stay! 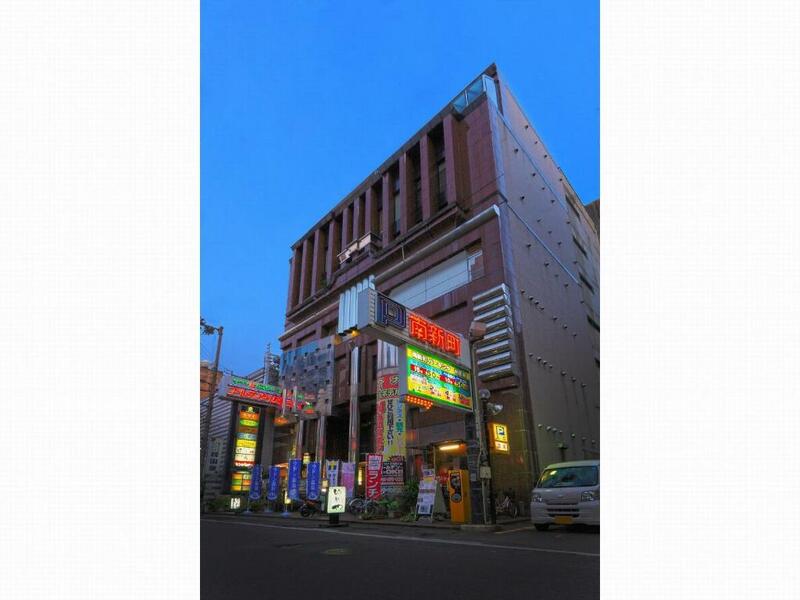 Featuring free WiFi throughout the property, Kawaramachi Gion Onsen Golden Time Takamatsu (Male Only) is set in Takamatsu, 0.6 mi from Takamatsu castle. 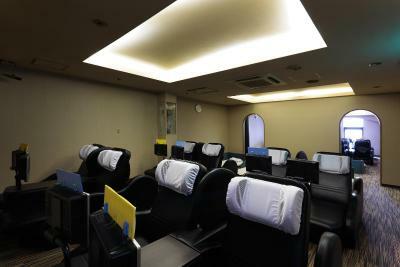 The capsule hotel has a hot spring bath and sauna, and guests can enjoy a meal at the restaurant. All rooms are equipped with a shared bathroom. 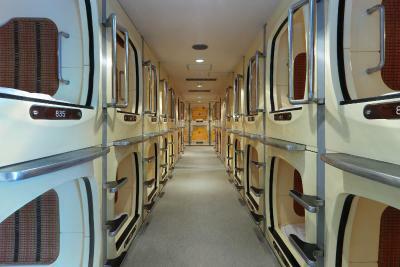 The capsule hotel also offers free use of bicycles. Setonaikai Kokuritsukōen is 3.1 mi from the property, while Sun Messe Kagawa is 3.1 mi away. When would you like to stay at Kawaramachi Gion Onsen Golden Time Takamatsu (Male Only)? House Rules Kawaramachi Gion Onsen Golden Time Takamatsu (Male Only) takes special requests – add in the next step! 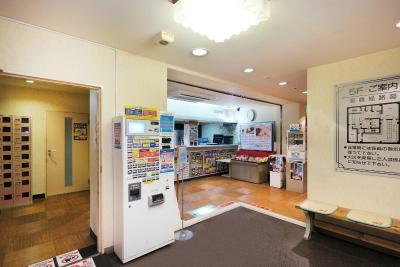 Kawaramachi Gion Onsen Golden Time Takamatsu (Male Only) accepts these cards and reserves the right to temporarily hold an amount prior to arrival. Please note this is a male-only accommodations. The staff spoke very little English and I speak very little Japanese so communication was difficult, but we managed to avoid any misunderstandings. The onsen water is rusty, which may appeal to some. The main problem is that all the premises look quite in need of renovation, a bit tired and not necessarily up to the needs of today (i.e. Not many sockets around). This capsule hotel may not be used by foreign tourists often so staff didn't have much English; the possibility of leaving luggage after check out would have been appreciated. People with tattoos should be aware they may not be allowed to use the onsen (baths), which is silly in 2017.